Try your best to stick as close to the routine as possible. Of course everything won’t be exactly the same, and helping your child adjust to activities and transitions outside a rigid routine can be very positive. But keeping mealtimes, bedtimes and wake up times as close as possible to the normal schedule can help avert meltdowns. Everything in moderation. Occupational therapists for children usually recommend if it’s possible spacing out activities so that your child has a chance to “check in” with their bodies and adjust to it all. Although numerous activities in a day might be just fine for sensory seekers, you may want to plan calming breaks for those with aversions to to crowds, noise and lights. Sensory-seekers on long trips may benefit from setting aside time to move, stretch or even a “heavy work break.” Carve out some time for them to burn off that pent-up holiday energy with a fast walk, jump or swinging. Respect your child’s tactile sensitivities. We know it can be frustrating or disappointing when your child refuses to don the apparel you’ve carefully spent hours Pinteresting for the perfect family photo. But if wearing the clothing makes your child feel physically uncomfortable, the photos weren’t going to be that great anyway, right? If you can try to choose an outfit you already know he or she will be comfortable wearing, it will probably go more smoothly for anyone. And speaking of discomfort, our occupational therapists advise against forcing any child (regardless of challenges) to give or accept hugs and kisses from anyone if it’s against their wishes. 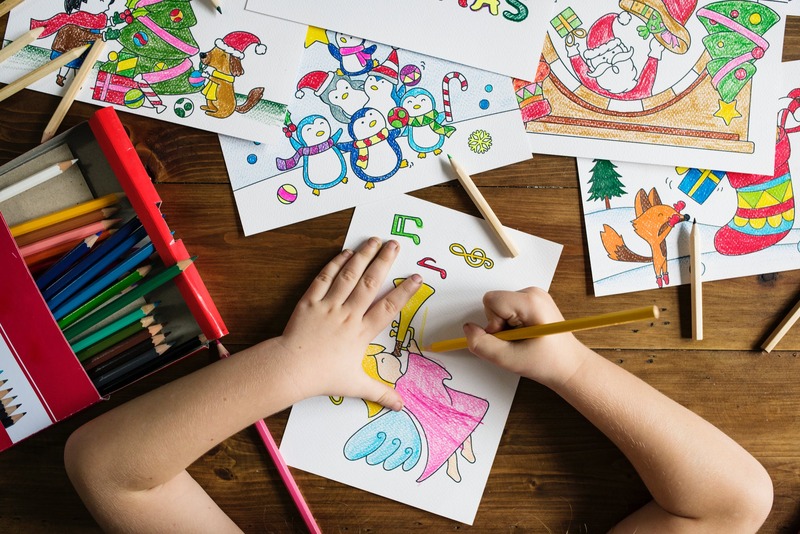 Finally, plan out activities in advance in which your child can channel their focus, work on fine motor skills and feel a part of a tradition. Examples are things like making cookies, construction paper looping as part of the family tree decorations or other arts and crafts. Enjoy listening to soft, easy holiday music and quiet storytelling – together as a family. Keeping the volume and lights low can be the difference in helping them stay engaged. FOCUS offers occupational therapy in Fort Myers, Lehigh Acres, Cape Coral and throughout Lee County and Southwest Florida. Call (239) 313.5049 or Contact Us online.